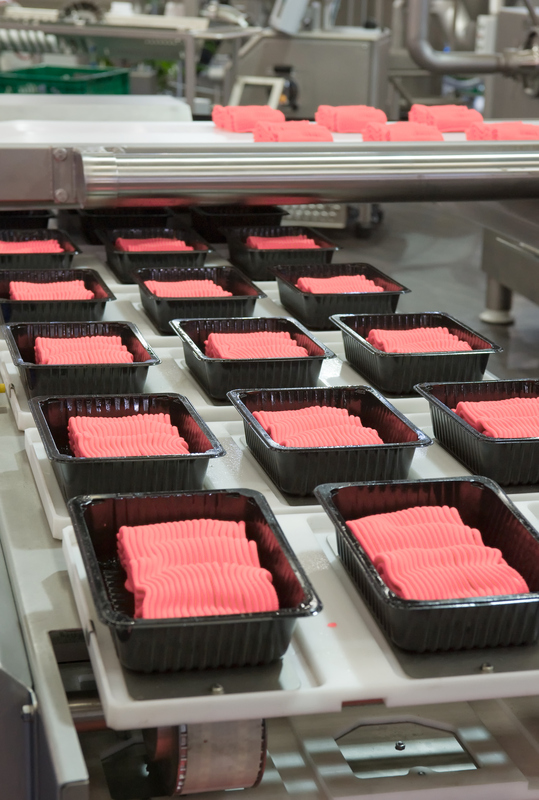 Since rapid proximate analysis was first made available, raw meat processors and the companies they supply have always looked for ways to analyze the moisture, fat, and protein content of their product. Most industries have been required by various regulations to provide this data in the form of a COA, but many companies use this information to determine the optimal yield for their products and follow process control techniques to maintain tighter specifications and deliver a better quality product. Larger corporations have been able to recoup hundreds of thousands of dollars of lost product simply by integrating process control equipment into their production facilities. The result of this change: more accurate analysis led to greater savings. Until recently many plants have been limited by the technologies that are available. In-line testing, both via NIR or X-ray, has become a recent popular technology, with the perceived ability of better control since these systems can analyze all incoming product. Unfortunately, in-line testers have been proven over time to only achieve levels of accuracy of 2% or worse. Alternatively, NIR benchtop equipment has been able to provide multiple components in as little as 30 seconds, but with accuracy only as good as 0.50%, and constant costly calibration maintenance to reach even that poor level of accuracy, the potential savings are wasted by the cost of maintaining the equipment. Fortunately, there is a better technique that will provide a fast test, but more importantly provide better accuracy on any raw meat or pre blend being produced. CEM’s  ProFat Raw Meat Analyzer  will provide customers moisture, fat, and protein results in as little as 2.5 minutes, with repeatable and accurate results of 0.25% or better, twice as good as NIR alternatives. Even more important, the ProFat never requires recalibration. With its direct analysis technologies, significantly lower maintenance costs coupled with accurate results means the money saved through process control is kept as added profit for you. For processors and buyers of raw beef, pork, poultry, and pre-blends, CEM is the clear choice for better process control..